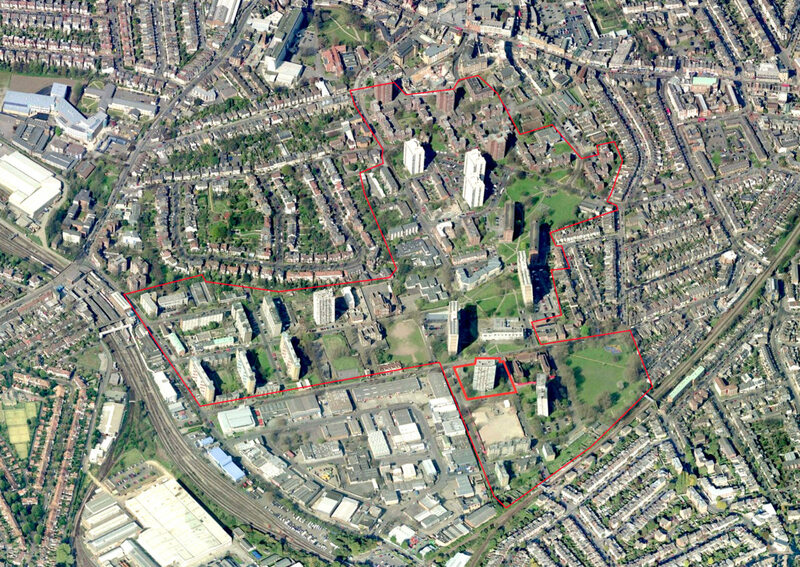 This £500m masterplan for the 2600 home, 40-acre regeneration of the South Acton Estate was won by ABA and HTA for client Countryside Properties and L&Q in 2011. 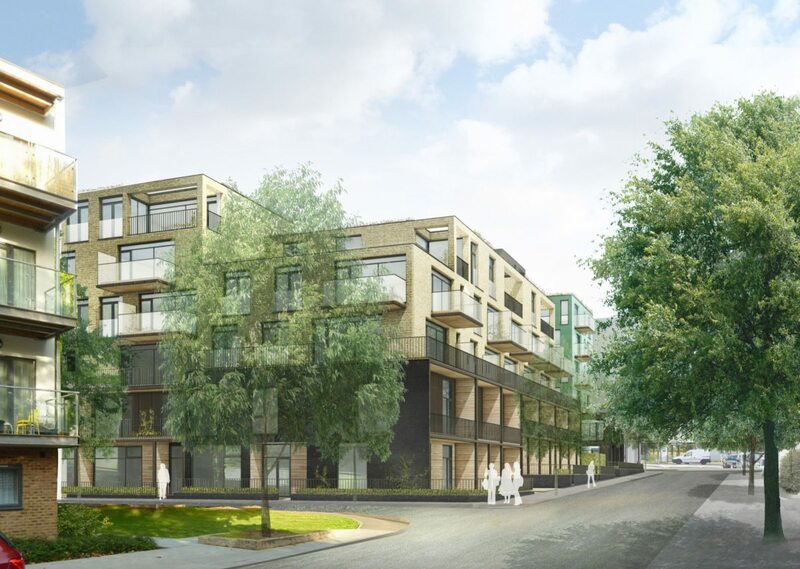 The scheme re-connects the Estate to the wider neighbourhood with traditional tree-lined streets, a central urban square, unified by a network of connected and upgraded parks, allotments and private gardens. 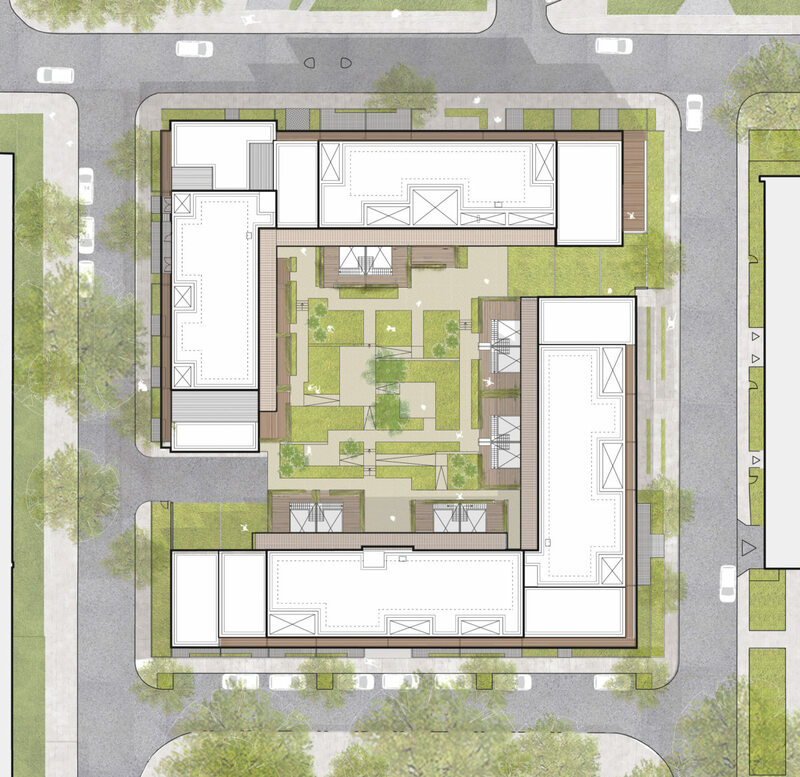 A newly diverse urban neighbourhood, it will provide mix of apartments, modern mansion blocks, townhouses and terraces. 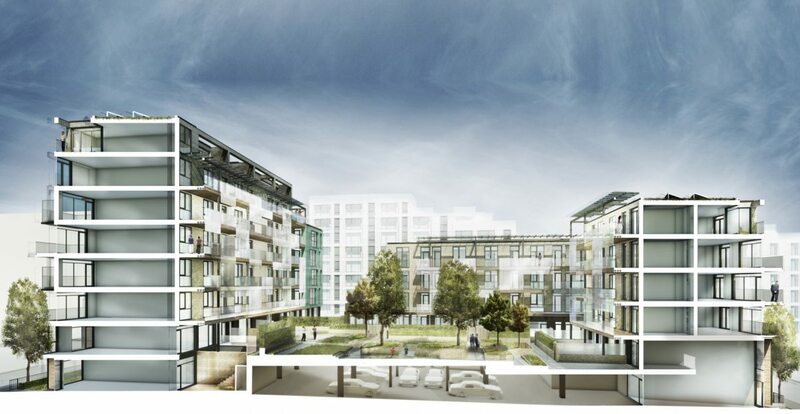 ABA’s Phase 2 scheme, The Liberty Quarter, consists of 130 dwellings in a combination of large family maisonettes and apartments above. 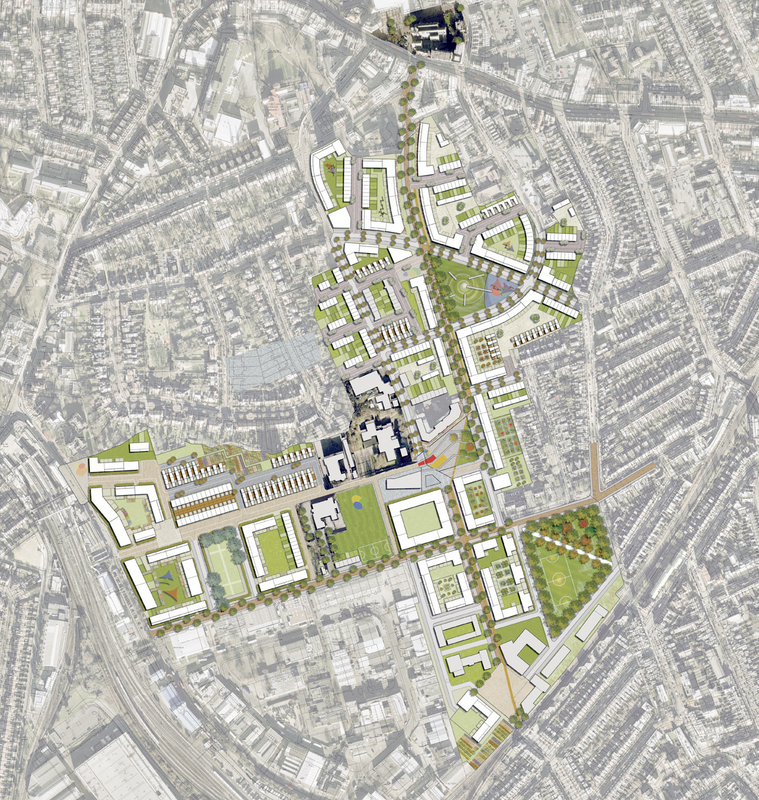 The scheme is conceived as a ‘cityscape’: a collection of discreet buildings forming a perimeter block, that creates variety, identity and character specific to each street. ABA’s approach has been to draw upon the spirit of Ealing’s late Victorian architecture with a playful approach to form and material. 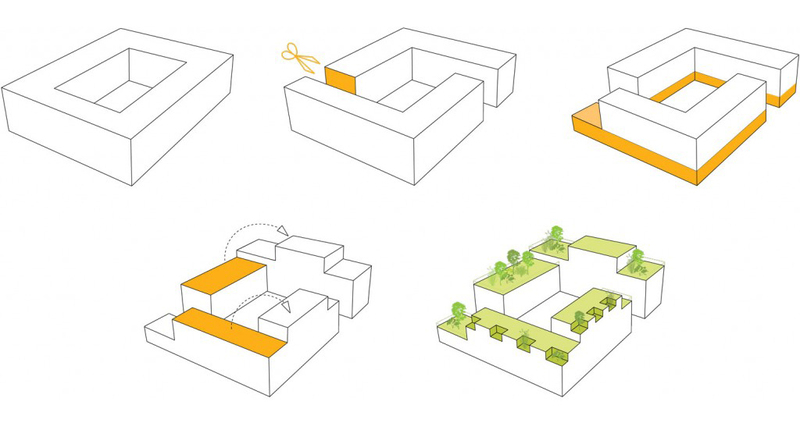 The perimeter block is articulated as a stacking of discreet, coloured volumes that frame a central courtyard. 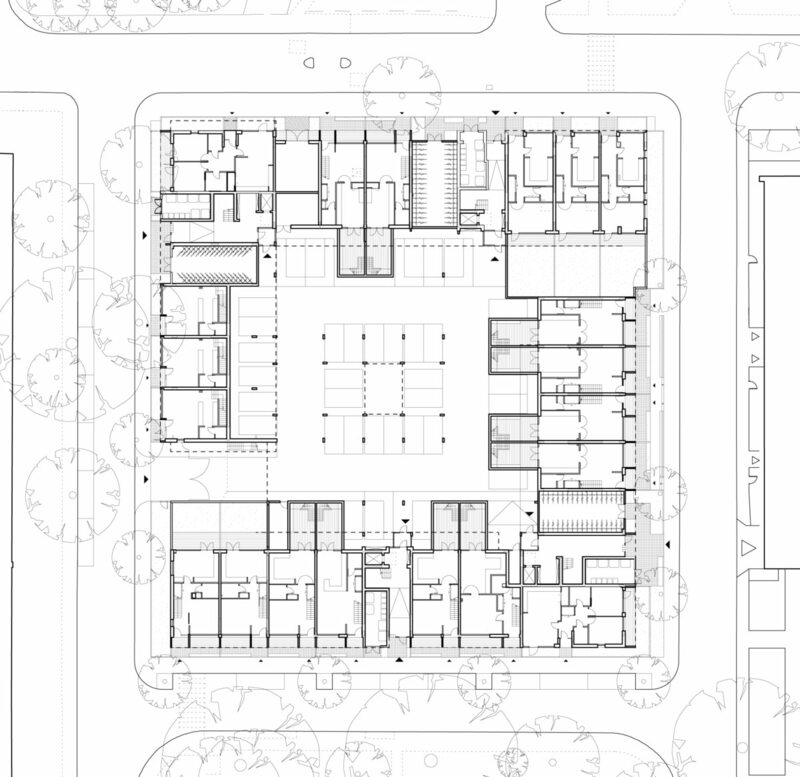 Maisonettes at street level create familiar, two storey street frontages with front doors and gardens, ground floor live-work spaces and generous roof terraces. On the inside of the block, a shared courtyard garden will offer a private communal garden space literally on the resident’s doorsteps. 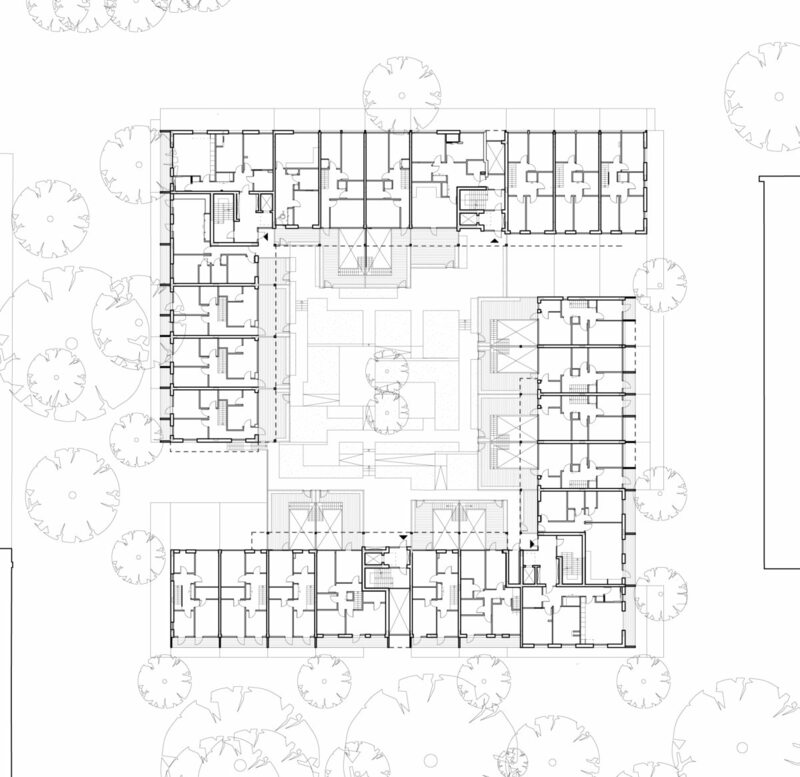 The south and west blocks are lower to allow afternoon and evening light into the central courtyard. Ranging from two storeys high at the southwest corner to 9 storeys in the northeast corner, the lower scale of the Packington Road two-storey terraced houses respond to the scale of the two storey scheme opposite. 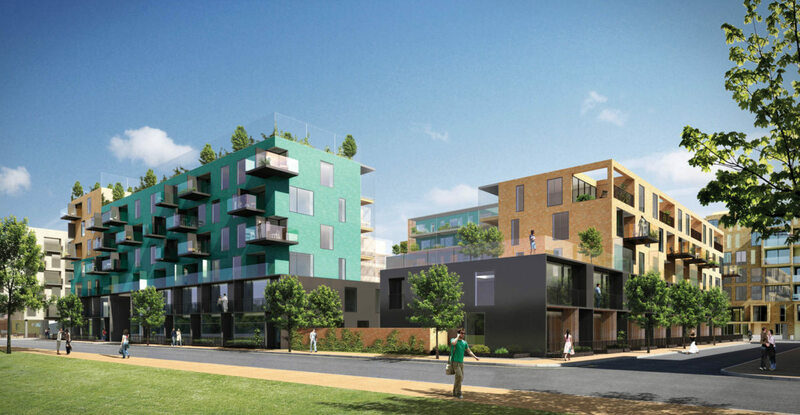 The various elements of the scheme share a palette of high quality façade materials; sand brick, turquoise glazed brick, black metal cladding and timber. The base of two-storey maisonettes is articulated as metal clad ‘porches’. They provide private landscaped ‘thresholds’ for the dwellings with walk out balconies at 1st floor level and overall sun shading. The upper storeys of apartments are primarily brick-clad with very generous recessed and projecting balconies. These balconies have vertical fins as both wind and privacy screens. In contrast to the brick street facades, the courtyard façades of both buildings have timber clad galleries. These are interspersed with lightwells that create a wide private entrance porch and a clear separation between the balconies and the apartment windows.